Last Tuesday my life was changed forever. The title may sound a little unsettling at this point, but the thing is that my daughter was born and that something funny happened right before her birth. Monday night seemed to be the last evening we could officially spend in two, so together with my wife we found each other in a very common moment in our couple, once again. One vote for pizza and another for anything else. Chances are the current number of family members will become useful soon, while for the time being our choice goes often for an Italian Restaurant in Vilnius (if not a pizzeria). Being a self-proclaimed pizza enthusiast one can easily imagine how I have searched high and low for decent pizza pies, willing to support my nostalgic pizza craving moments. 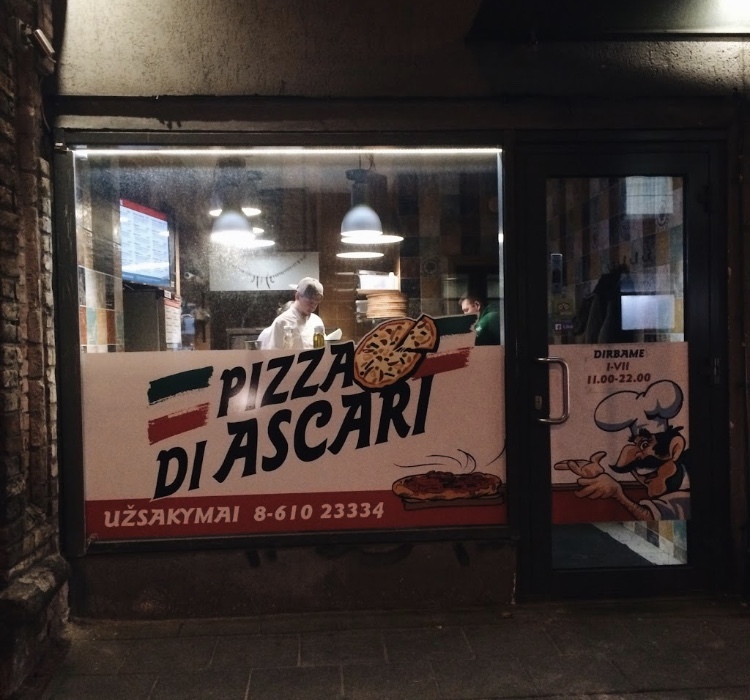 After more than 2 years I have decided to list here where one can find the best Vilnius pizza spots, according to me (and my experience in the field). This pizzeria brings to another level (and another country) my personal intimate idea of a pizza experience. There’s me, in Italy, coming back from a futsal match with friends, during wintertime, hungry. Stop the car near my favorite pizza place, eat on the spot a still burning margherita pie. I managed to have the same experience in this very tiny pizzeria on Švitrigailos Street. Their menu is really creative (there is even pizza with grilled shrimps, it’s called “La Sirenetta”) but basics are there. There is space for few sits up the street. Sit there, have one of their pies alone, think about your life. There is nothing more lonely (and happier) than a man left with his own pizza pie watching the universe flowing. To understand whether pizza is great, one has to start with the basics. In Pizza Verde, a spot nested on Kalvariju Street, they do a pretty decent Pizza Marinara and this tells a lot about them. Apparently the owner went to Naples, literally studied how to build a typical neapolitan brick oven and then built one in Vilnius. If you are Italian you would rejoy finding something that entails the true concept behind pizza: simplicity. Far from both the rich dressings and the creative toppings you can find anywhere in Vilnius, the pies made here resemble to Neapolitan pizza in its purest. This is place I went the night before my daughter is born. At the moment there are two restaurants in Vilnius (one located in the mall “Ozas”, another on Gedimino Prospektas). This is the place one should go if looking for quality. The great attention paid to ingredients is unquestionable. Personally I have rarely experienced something similar in Vilnius. Bonocosì not only offers a wide range of choice but, most of all, delivers great products at a very high standard of quality. Said in few words: their pizza is simply larger than life. This place was a total surprise for me. I was walking in the city center, entered the place mainly for his design but I should say that the main point here is that all seems having been perfectly designed to be what it is: a cozy place where you can have pizza with your family (I have heard this concept from the words of the owner, if I am not mistaken). Something who may look easy to make at first sight but that it’s difficult to find in Vilnius (here the owner sums it up very well). Being a customer, I can say loud that what you get here is something truly unique. Usually, human beings get tired of pizza. Living in Lithuania, being Italian and a food lover too, I get asked frequently about Lithuanian cuisine. My favorite spot in Vilnius is in the city center, on Pilies Gatve, and its name is Etno Dvaras. 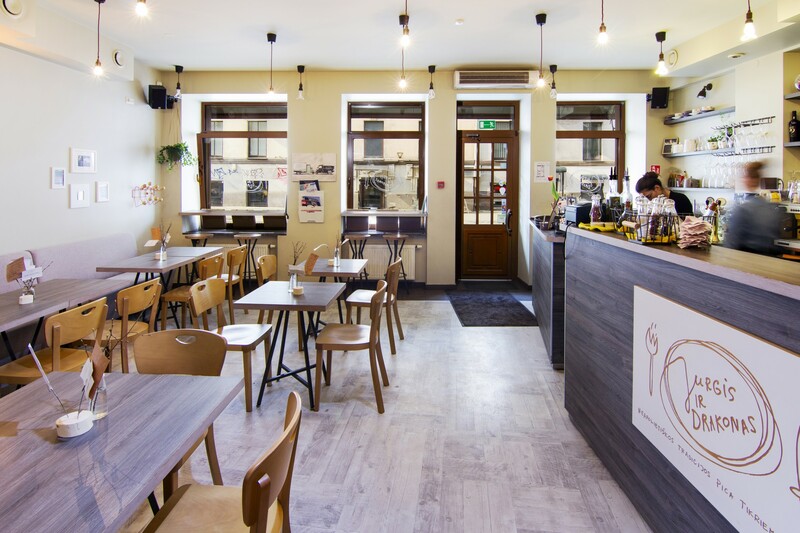 You will find here very tasty Lithuanian typical dishes, just after a 5 minutes walk from the Cathedral. Hope you have enjoyed this post! In case you would like to follow me further or discuss anything with me (ok, almost anything) feel free to follow me on Linkedin or to send me an email on prtg.blog@gmail.com, nobody knows what could come out of it!